Modest short sleeves lace wedding dress with with soft cotton lace. Lining section of the dress is detached from the outer lace layer, can be used separately as a dress itself. 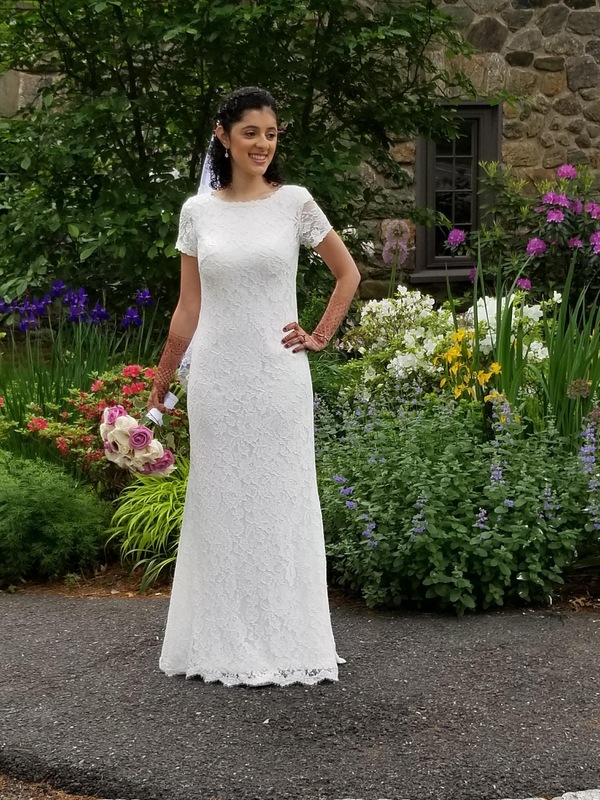 Wendy was amazing in communicating with me about the dress and was extremely accommodating with the many changes I requested to make it more modest and more my style. The dress arrived as I pictured it, and the quality was really top-notch. The only thing was that the measurements were slightly off - whether that was in my measuring or in the creation of the dress, I don't know. But the cost of the dress plus the additional alterations was still cheaper than any other dress I would have found. 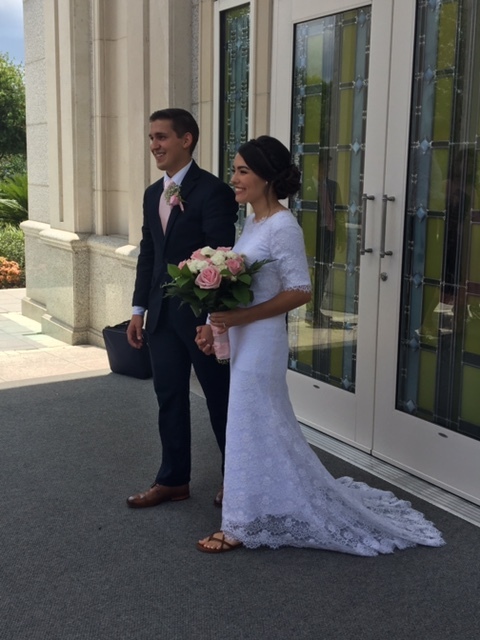 I got so many compliments on the day, and the dress moved so well - I didn't need any assistance in putting it on or using the restroom, and I had full range of motion for dancing! I highly recommend ieiebridal, with the caveat that the dress may require a little alteration. I ordered this dress for my daughter-in-law. I believe it only took 6 weeks from the time we ordered it until it was received. Wendy was very thorough in getting details of what was wanted. The lace dress piece was perfect. The under dress was very small in the shoulders and I had to cut and add fabric for it to fit her. The train of the under dress was longer.than the lace train and hid the beauty of the lace. The underdress was also long in front so I shortened it and took off the train. In the end it was lovely and exactly what she wanted. Thank you.